Uniting three schools under one roof, Wiseburn USD and Da Vinci Schools are a model for next-gen learning. In 2013, Wiseburn Unified School District, a community that crosses city boundaries, voted to become a unified K–12 school district, co-locating three independently run public charter schools in a single high school campus. The resulting Wiseburn USD and Da Vinci Schools transform a defunct office building to a personalized model for 21st-century creative learning. 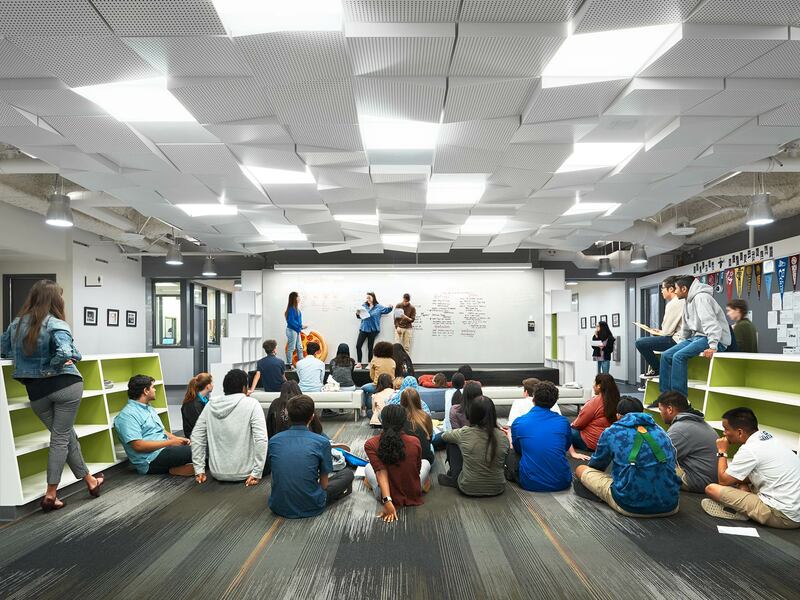 The reimagined building looks more like a creative workplace than a traditional high school — and that’s exactly the point. 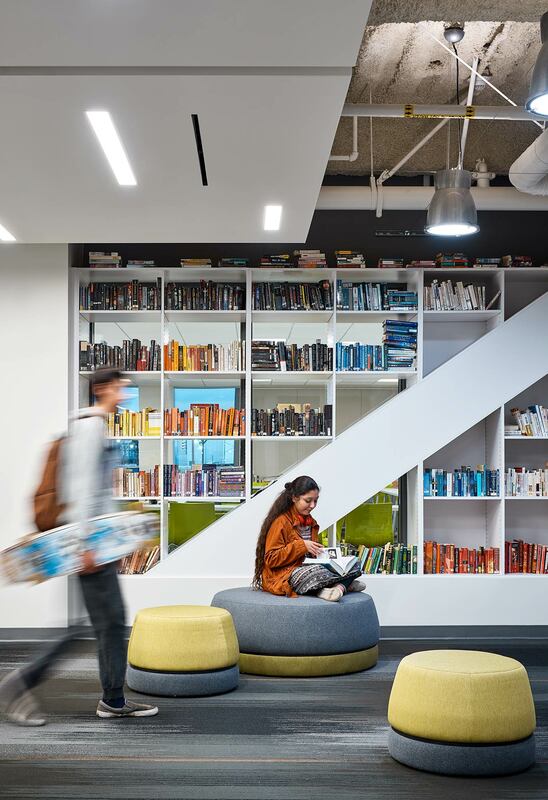 With the openness and flexibility typical of today’s inventive work environments, the school underscores the idea that learning happens at many more places than just the desk. Three schools each occupy one floor of the four-story building: Da Vinci Science, Da Vinci Design, and Da Vinci Communications (the ground floor is a shared space for media arts, performing arts, and other programming, and houses both Wiseburn and Da Vinci administrative offices). A place where students can roam, collaborate, and discover. Each school has its own distinct visual character, programs, and maker spaces. Unlike traditional constructs, where teachers transfer knowledge to students in fixed classrooms, the facility includes a mix of flexible spaces, so teachers and students can constantly invent and reinvent their curriculum for the project-based learning that is core to Da Vinci’s DNA. “Neighborhoods” of teaching spaces organized around open hubs double as circulation and breakout areas, with hackable spaces and writeable walls. A central atrium with open sight lines reveals this stacking of collaboration areas, so students can roam, collaborate, and discover. With the openness and flexibility typical of today’s inventive work environments, Wiseburn USD/ Da Vinci Schools in El Segundo, California, underscores the idea that learning happens at many more places than just the desk. 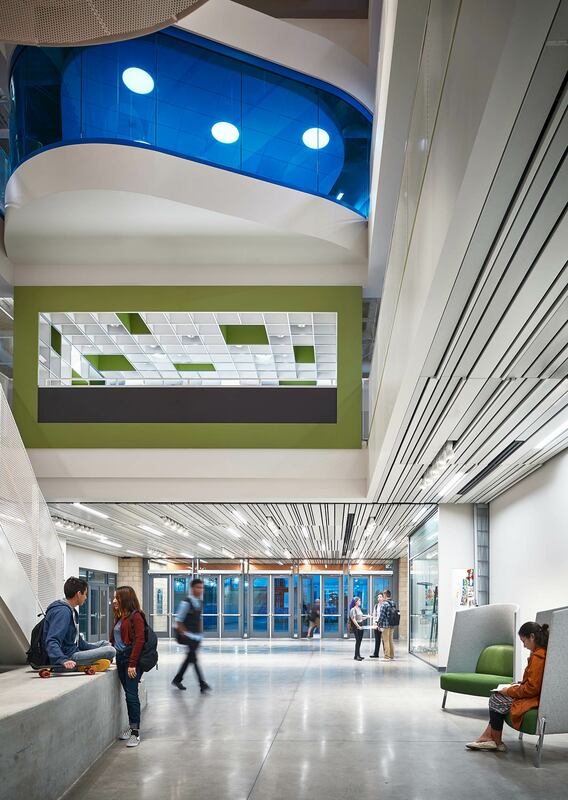 A central atrium with open sight lines reveals a stacking of collaboration areas. 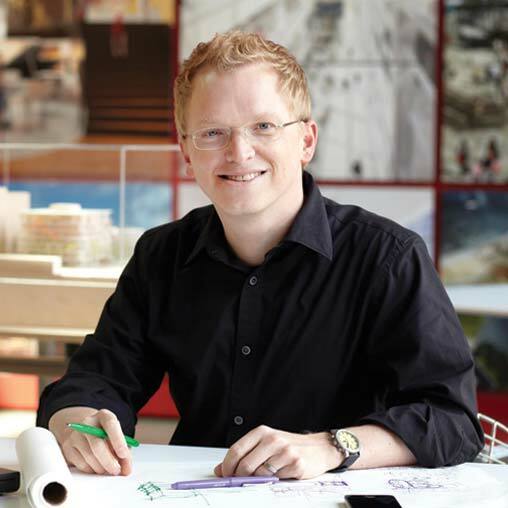 David leads design with a deep commitment to innovation and a mission to create a positive impact on people through well-crafted, high-performing architecture. As a Design Director and a Studio Director in Gensler’s Los Angeles office, he oversees a collaborative process of rigorous creative investigation and strong technical integration that has shaped extraordinary projects for both commercial and institutional clients.